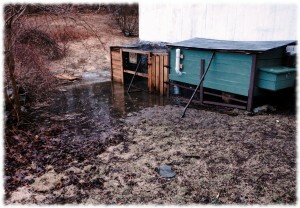 The stream behind the barn flooding out the bottom of the chicken coop. I like the rain. But enough already. The seasonal stream in the backyard has turned into a seasonal river in the backyard. At least the rain is slowing down for now. 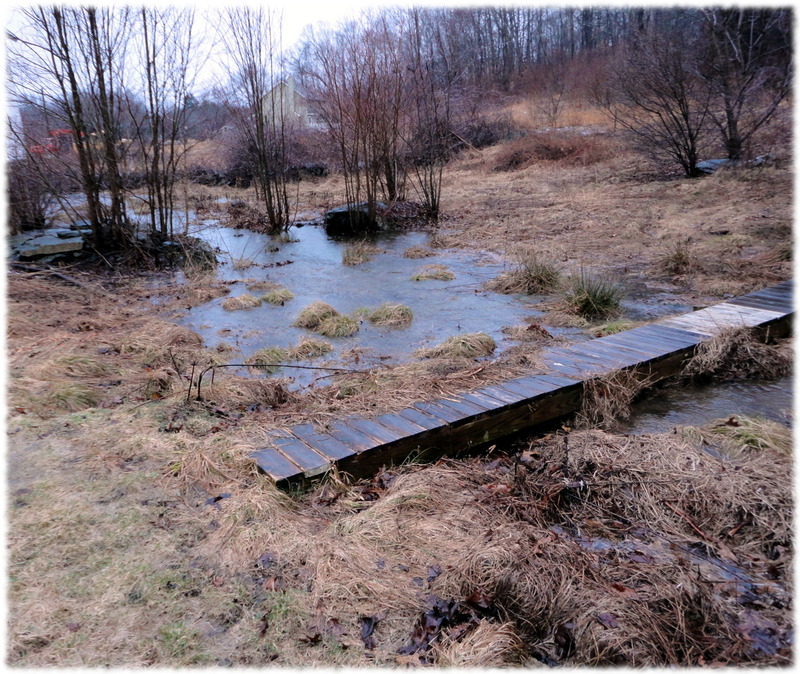 A quick walk around the yard (in the very squishy mud) finds our stream overflowing its banks. Not that there were really any defined banks. Hopefully it doesn’t erode too much from under the back of the garage. The water has flooded under the workshop. Luckily the only things stored on the ground there are the canoe (and it should be okay), some aluminum ladders, and a pile of not-very nice lumber. Though there may be some sapele and cedar on the bottom of that stack. Oh well. 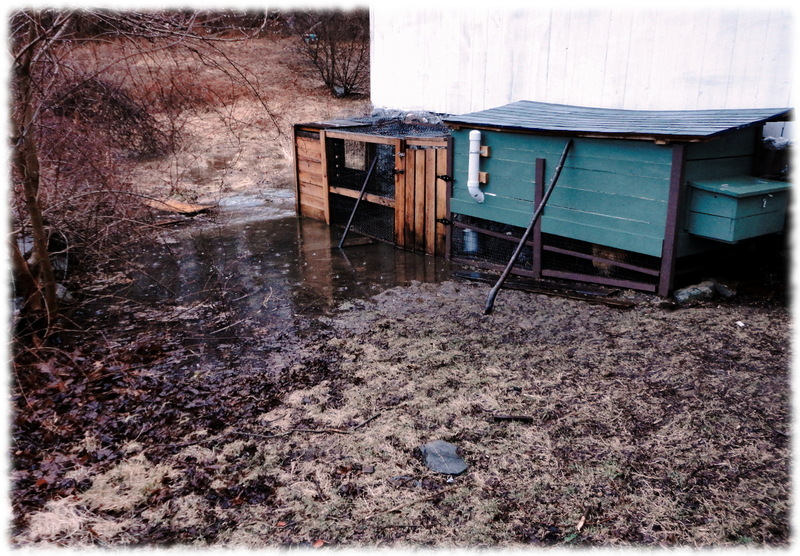 And a quick trip to the basement… let’s just say that it is much wetter than normal. Luckily nothing should be stored on the floor in the basement. Though I’m sure the cat doesn’t enjoy having to find her way around on the steam pipes to stay dry. The stream after a long day of heavy rain.